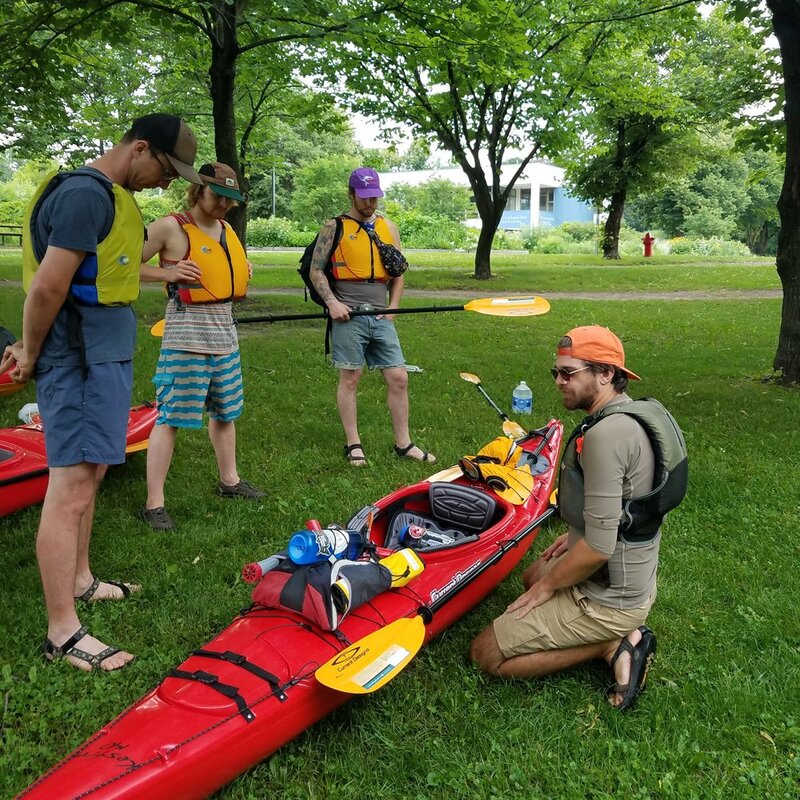 Paddle Bridge is a collection of professional guides committed to providing safe and inclusive outdoor opportunities along the Mississippi River and around the Twin Cities area. We are dedicated to natural preservation, environmental education and sharing our passion for the outdoors with others. We seek to be more than just a local outfitter, we are working to create an active and sustainable river community. Interested in starting the path down a new life-long skill? Are you already a seasoned paddler who's looking to improve your technique? Our staff are here for you. Paddle Bridge instructors combine teaching practices developed by the American Canoe Association with years of paddling experience to bring you a top-of-the-line learning experience. Lessons commonly cover Kayak terminology, Paddling Techniques, Hazard Awareness, Self Rescue Methods and more.